In the 60s, to complement their hard-working life, some of these men of the sea carefully cleaned their wooden boats and began to exhibit the golden coast of Lagos, through cave tours. Many still maintain the same routine, with slight changes: “at dawn, we were launching the nets; we cleaned the boat and came to Dona Ana Beach to wait for those who wanted to visit the caves while the sun was up. At night or the next dawn, we would collect the fish, “says José Jorge; to which Nuno Amantes adds that “even this morning I was leaving earthenware pots to catch octopus”. “The wooden boat is not used anymore,” says Isidro, better known by Cravinho: “I did some small tours with my brother’s wooden boat, in 1976, at Dona Ana beach.” The old wooden boats, their design based on the discoveries caravels, had to be gradually replaced by traditional fibre boats: “we were obliged to leave them because they couldn’t be anchored, they needed a lot of maintenance and could break easily if they hit a rock,” says Vítor Santos. 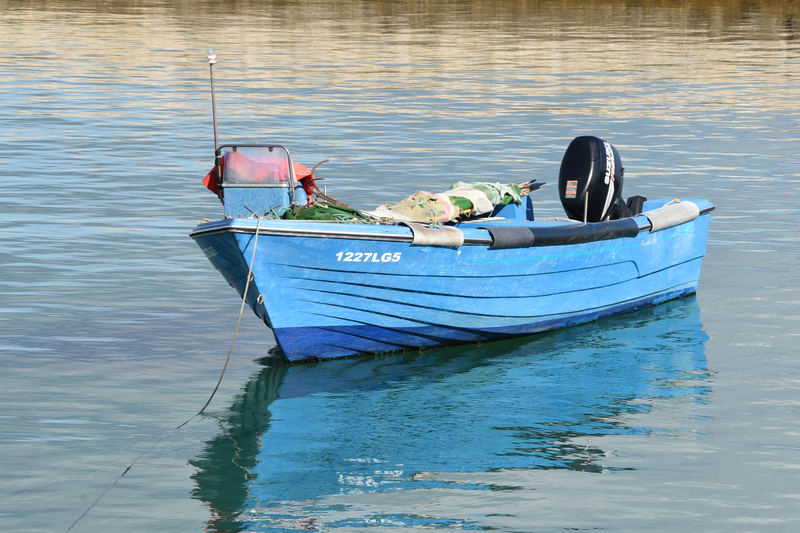 Only a few wooden boats are still active, an example is the Rio Alacem boat, which is over 60 years old, which used to “ship sardines to the canning fish factories in Alvor”, it also “carried the statue of Virgin Mary in religious festivals,” says Isidro. In this group of 40, Lucindo, 86, continues to show and teach the secrets of the coast to anyone who wants to know their history! He has almost 50 years’ experience of grotto tours and over 70 as a fisherman. Lucindo and the other men were building the routes through the intricate labyrinth of cliffs, carved grottoes and small beaches, where they confess that the names of these sites weren’t by chance: “We have a grotto that we call the kitchen, because when there were high winds it was the shelter where we ate before we went to work, “says Vítor Santos. This complement to the fishing began in Dona Ana beach, with the tourists from the Hotel Golfinho, but was spread throughout the town in four strategic points: Avenida dos Descobrimentos, Cais da Solaria, Dona Ana beach and Ponta da Piedade: “in partnership with the maritime authorities, around 1986, these 4 places were allocated for the group of 40, in a round-robin scheme, “says Isidro.